We are currently accepting applications for Truck Drivers and Owner Operators! See the Jobs page for more details. At Premium Best Transport we take pride in giving our customer what they want. We provide honesty, integrity, dependability, and punctuality, combined with the right equipment for the job. We are fortunate to have some of the best people in the industry in our operations department. We have handled Flatbed, Step Deck, RGN, and Double Drop Shipments inside and out for many years. We take pride in our jobs and care about our customers' needs. “We treat our customers right, right from the start.” Consignees quite often become our customers after we have delivered to them. We would like to thank you for experiencing what Premium Best Transport has to offer your company. We have 10 of our own trucks and 40+ trailers. Our fleet of trailers includes Flatbeds, Quickdraw rolling tarp systems, Step Decks, RGNs, and Double Drops. All of our trailers are air ride, 48’, 50’, and 53' in length. Our trucks can haul up to 48,000 pounds. Our drivers have experience with all of our equipment. We will quote each load according to destination, size, and type of trailer needed. We can quote incoming freight as well as outgoing freight. We take care of your shipments the way you want them to be taken care of. Your freight is handled with utmost care from pick up to delivery. We work with our customers to ensure we make pick ups and deliveries in a timeframe that is suitable to them. Our daily tracking of our trucks and freight by way of electronic logs will keep all our customers worry free. Our goal is to have your repeated business by offering professional cost effective freight service. 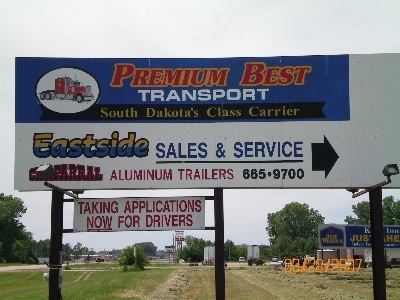 When you desire quality service, honesty, and competitive rates, make Premium Best Transport the one to call for expert Flatbed, Step Deck, Double Deck, full loads, and LTLs!